The continent of Europe has no shortage of beaches for you to choose from. Any country in the region with a coastline has its fair share of spectacular beaches that you can lounge around on and soak up the sun all day. Each country has slightly different climates, different water temperatures, and different architecture and environments surrounding the beaches. Safe to say each one is unique – on this list you will find deserted beaches that stretch for miles, small local town beaches, and hidden coves on spectacular islands. Scroll through this list to find your favourites. With European countries being so close to each other and so accessible by cheap flights, your favourite ones could be closer than you think! Situated in the Bay of La Concha this beautiful sandy beach forms the shape of a shell and is one of the most famous in Europe. The bay is dotted with beautiful yachts and the lush green island in the middle of the bay is a stunning focal point. The City of San Sebastian forms the backdrop to the beach which contains 2 of the top 20 restaurants in the world – foodies paradise! The tidal range is big, so the beach can grow and shrink a lot during the day. In 2011 TripAdvisor stated that Fig Tree Bay was the 3rd best beach in Europe. The beach has azure blue seas, and beautiful soft sandy beaches. The beach gets its name from the Fig trees surrounding it and has been given the most prestigious Blue Flag award for cleanliness. The beach has shallow waters that are perfect for families and there’s a beautiful little cove that can be reached with a short swim. The crystal-clear waters of Balos Lagoon are shallow, warm, and so inviting to relax in. The beach its self is a mixture of Gold and Pink due to the beach having countless crushed shells within in it – but still soft under foot. The scenery around the beach is rocky and rugged and it even has a few goats roaming about. The beach even has the royal seal of approval – Princess Diana and Prince Charles visited in the past. This beach is very popular, so visit early in the morning and if you can avoid the peak months of July and August. Situated in Elafonisos, Simos Beach is the largest beach in the area. The waters have a beautiful blue colour and being in the Mediterranean, are soothingly warm. The beach is backed by soft and sandy dunes. The beach doesn’t have any towns or cities backing onto it, the only sign of civilisation is the food and drinks vendors that serve the beach in the summer months as well as the camp site situated close to the beach. Situated on the famous Algarve coastline, Praia da Rocha is a lively town which spends all day on the beach and in restaurants, then at night hits the bars and entertainment shows. The water isn’t the warmest as Portugal is on the Atlantic Ocean, but if the sun is at its peak then a dip in these cool waters will be a refreshing break from the sizzling beach. The beach offers lots of water activities such as jet skiing, power boats, and surfing. The beach has something for all ages and stretches for 3 km. The Town of Tropea is a sight worth visiting on its own. Precariously placed on top of cliffs, the Jewel in the crown of the region of Calabria looks over the mystical blue water of Tropea beach. The white sandy beaches merge into the turquoise waters seamlessly and the rocky outcrops dotted along the coast provide awesome spectacles and ample opportunity to snorkel around through these beautiful waters. There’s a reason this part of the coastline is called the ‘coast of the Gods’. La Pelosa Beach runs for nearly 400m and provides great opportunities for Snorkelling, scuba diving, windsurfing, and kayaking. The crystal clear blue waters are shallow, and the beach sand is soft which provides an excellent environment for families with small children to take a paddle. The unique quality about this beach is the small island just off the beach that is home to a 16th century watch tower which gives the area a very rustic feel! This is a rather popular beach so try to go early in the morning or outside the peak months of July and August. The largest and potentially best beach in the region of Galicia stretches for over 7km. The beach is backed by grassy dunes which you will need to walk through on paths to get to the beach. Once at the beach you will have no problem finding space as the beach is absolutely huge. The beach was voted the second best in the world in 2007 and still remains in the top 20. The beach has good facilities such as parking, food and drinks vendors, and toilets dotted along the beach. Icmeler beach is situated in an old fishing town and is backed by beautiful palm trees. The beach is in a bay and the sweeping sands have beautiful mountainous scenery surrounding them. If you are feeling something other than the beach, the town of Icmeler offers mud baths, hiking opportunities, and fabulous food and drink. 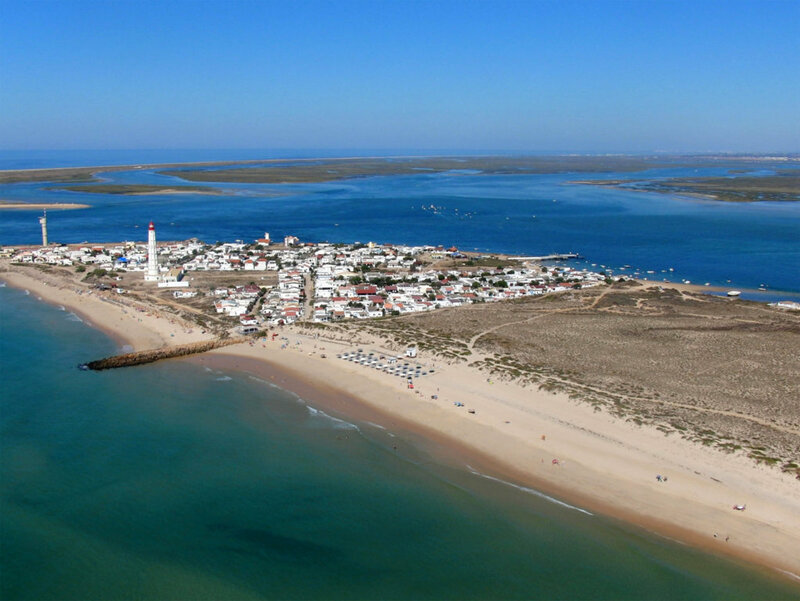 Just south of Faro, a short ferry ride to will take you to the island of Culutra – a beautiful sand island that forms part of a National Park. As a result of its National Park status, the island has hardly any developments on it and paths are just made out of the sand. The island is ideally split into two environments; one side has beautiful sandy beaches and the other has stunning lagoons. Just a few miles west of the capital Riga, and a 40-minute train ride, Jurmala has been a beach paradise for decades. The white sand, fresh air, and clean waters draw in the crowds during the summer months. The facilities at the beach cater for everything you can think of and the restaurants and bars that open up will keep you refreshed throughout the day. The beach is a blue flag beach – the cleanest! This 1200m beach is situated in the Cabo de Gata National Park. This beach is as natural as you can get- there are no developments and no roads, so it retains its truly wild feel. The shallow waters allow for young children to take a dip as it never really gets too deep unless you go quite far out. The surrounding landscape of the National Park includes sand dunes and beautiful forests. This is a beautiful beach made of pebbles that is situated on the island of Korcula. The fact that this beach is on an island means that it is a lot less crowded that other beaches of comparable standards. The shallow waters make it ideal for children, although due to its pebble beach you should take some footwear. There are toilets, chairs for rent, as well as restaurants nearby. Situated in the county of Dorset, Durdle Door is one of the most stunning beaches in England. Flanked by a large limestone arch on one side and shallow cliffs to its rear, the beach became a UNESCO World Heritage Site in 2001. The beach is made of pebbles and shingle, so foot wear is advisable. Facilities include car parking, toilets and some food stalls. This is definitely a day trip as there is so much to take in! Often titled – ‘the other riviera’ Deauville beach has its own boardwalk, casino, and beautiful row of ornate buildings along its length. During the busy summer months, the beach is packed and has a lively atmosphere. Outside the busy summer months, you can find a romantic and quiet getaway for all occasions. This beach has a little bit of class attached as well – Coco Channel opened her first store here in 1913. When you see pictures of this beach your first response is ‘wow’ – no wonder its claimed to the most beautiful beach in the world. The waters are the bluest you can find and the white cliffs surrounding the beach are imposing yet majestic. The beach is situated in a small cove on the island of Zakynthos and in the middle of a beach is a rusting ship wreck that looks like it’s out of a Hollywood blockbuster. Look up at the cliffs, you may see some crazy base jumpers risk it all! Chances are, you’ve definitely seen this beach on TV or on someone’s Instagram feed. Voted the 3rd best beach in Europe it’s easy to see how it’s so close to the top of the list! The pebble and sand beach reach out into the Adriatic Sea like a spear tip. The beach is 0.5km and it’s effectively a sand bar that is changing shape continuously – don’t worry though you won’t get swept away. The beach has lifeguards on duty and the waters are shallow, so the beach is perfect for families. Situated on Newquay in Cornwall, Fistral beach is a surfers and sun worshipers paradise. The beach is about 1km long and has been given awards for its water quality. The beach is the home of surfing in the UK and regularly holds competitions. The beach is also lifeguarded from April through to October giving you that extra peace of mind. Monterosso is your typical picturesque coastal village in Italy that has colourful rustic buildings along its sea front, a castle, cathedral, and most importantly a beautiful beach! The beach is the areas only sandy one and a natural draw for people visiting Cinque Terre. The town is famous for its lemon trees and anchovies and will provide a culinary surprise after your day realxing at the beach. The beautiful walled town on Antibes is one of the few along the coast from Nice that has a stunning soft sand beach. There is a small beach in town however, head slightly just out of town towards Cap d’Antibes and you will find a much longer beach to relax on throughout the day. There are plenty of opportunities to engage in water sports along the beach as well as volleyball, and the best French past time – eating amazing food at the Cafes along the beach. There are bound to be a couple of beaches on this list that take your fancy – if not all of them. Remember, Europe is so close together and so accessible that it is definitley possible to visit more than one of these beaches in the same trip – possibly 3 or 4 if you’re a true sun worshiper! Whether it’s the small beaches in coves that take your fancy, or the long sandy beaches that stretch for miles, your beach expectations will be exceeded by beautiful Europe.